I was at A-kon in Dallas last weekend! 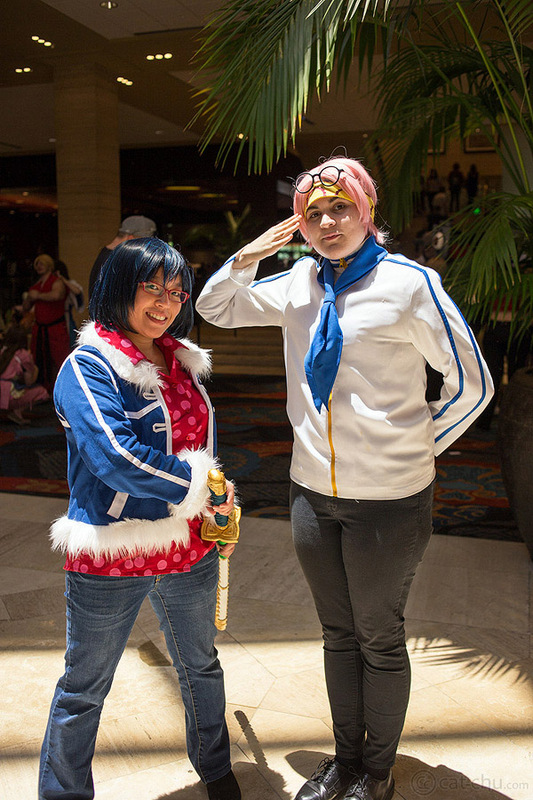 I debuted my Tashigi costume there, and I also brought my Rhyme costume. I mentioned that I was going to try for another new costume, but I ended up not doing it. 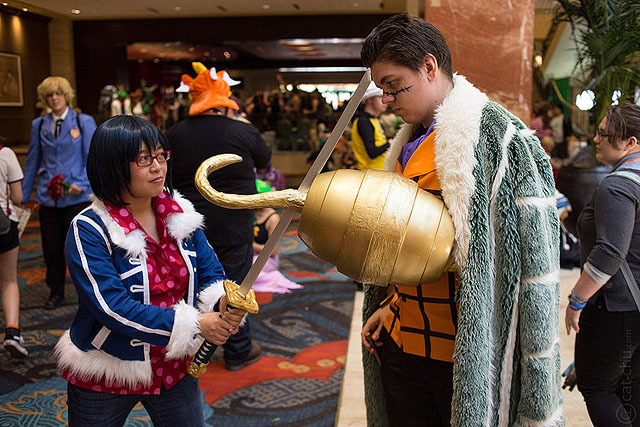 That worked out though because I was able to wear Tashigi for both One Piece meet-ups, which were a lot of fun! 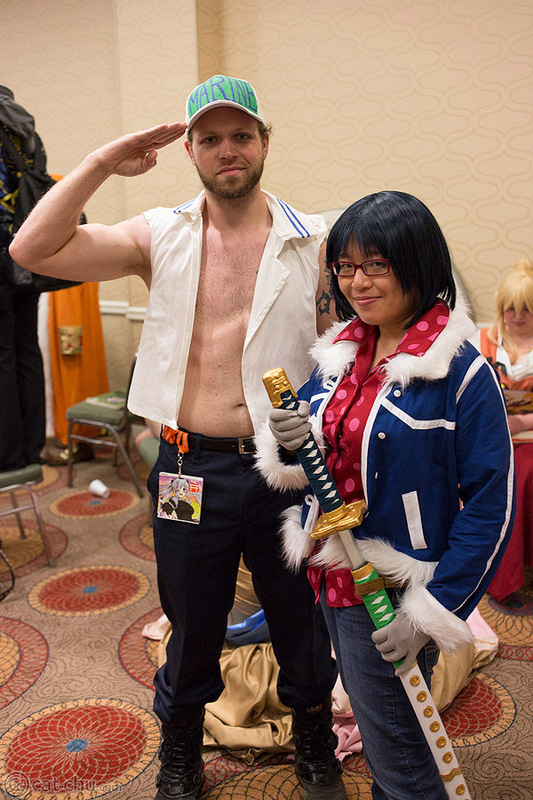 I was able to find a few other Marine cosplayers to take photos with, and I met so many other One Piece cosplayers. 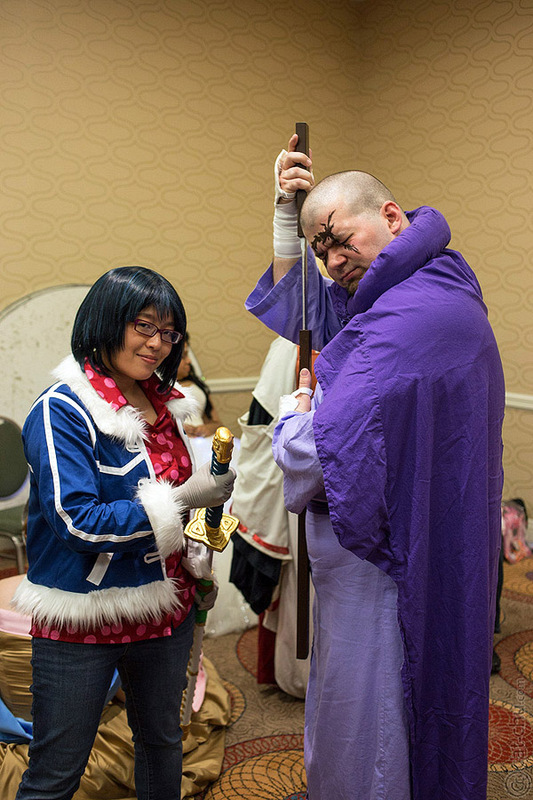 My full gallery of photos from A-kon are in this Flickr album! 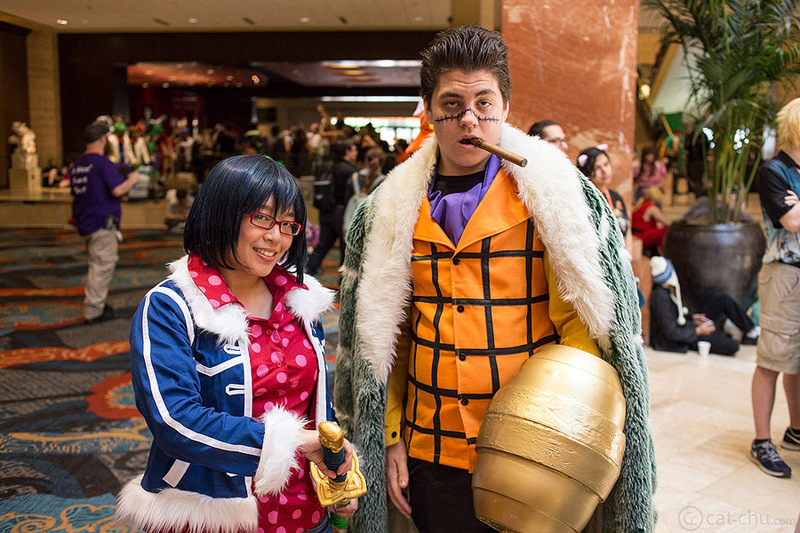 Check it out for more photos from the meet-ups and other cosplays I saw around the convention. I also wanted nice photos of my cosplay, so I booked a shoot with BTSE Photo on Sunday. Barry was great to work with, and I’m really excited to see all of the photos later :D I already have a preview from it too! 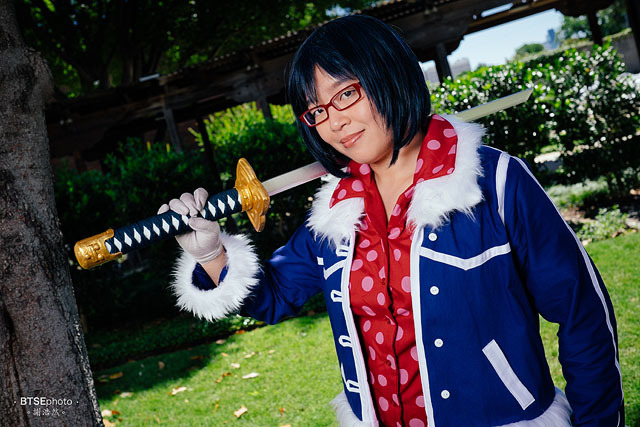 Now that I’ve actually worn the cosplay to a convention and have more photos, I’ve updated my Tashigi costume page. I also hope to get back into the swing of things this month. I kind of got burnt out after making Tashigi, which is why I didn’t finish another cosplay. 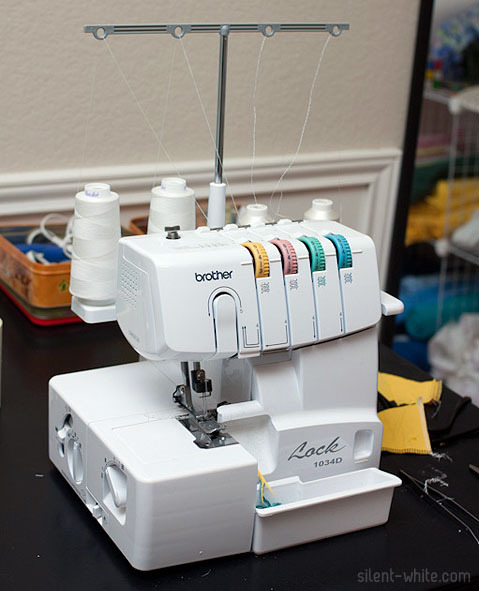 However, I have one that I’d like to finish before August, so time to get back into the sewing room! Though I originally was going for her Portal 2 look, I’ve realized that I like wearing it as her Portal 1 instead. It’s mainly because it would show more details on the jumpsuit, and it’s also pretty comfy XD So, I want to re-do the long fall blades, and of course, add a Portal gun. Seriously. These have been on the back burner for too long. Though my Haku costume is done, I’d like to re-do some things on it. I’m much better at sewing than I was a few years ago, so there are things I can improve. Then I need to finish Chihiro’s outfit and figure out something for No Face. I want to start on something totally new too, but I’m not sure what yet. Right now I’m eyeing Silica’s outfit from Sword Art Online. I have a friend who would be interested in cosplaying Liz from the same series, so that could be fun. Anyway, I’ve updated my sidebar with cons I’m thinking about going too. Nothing is really set in stone yet though. I also went to Ikkicon recently to do photoshoots. Check out my Flickr set to see previews from them!